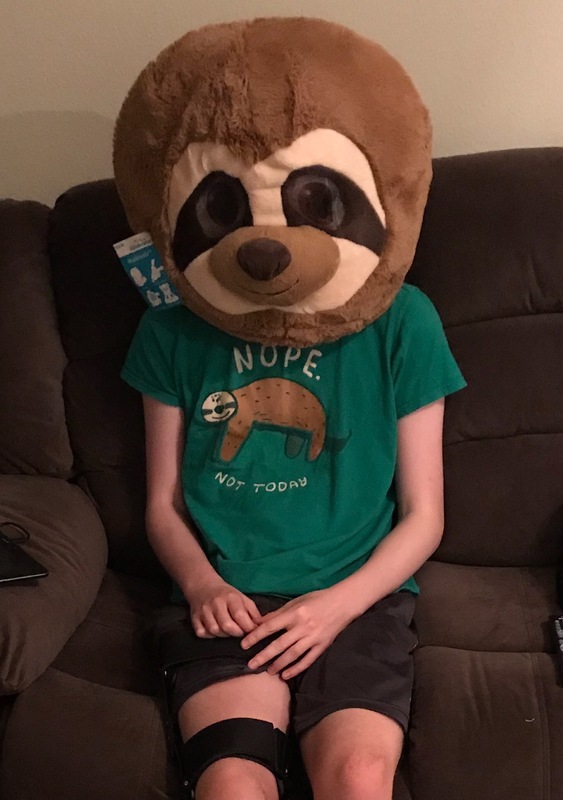 Robbie got a sloth outfit in the mail today from someone he works with at Navico. Love it! Best smile all day! Thank you! Robbie is a little under the weather this evening with a fever of 100 that we are watching. Hopefully we can stay out of the ER this week. 101 is when we have to take him.